A sauna is room or house designed to induce sweating, for either hygienic or medical reasons. The sweat can be induced by wet heat (steam) or dry heat. In the Vinaya, the rules for monks and nuns, the sauna is referred to as a bathroom (jantaghara) or more specifically as a fire room (aggisala). The Vinaya give a detailed description of how these saunas were designed and used. They consisted of a room with tight-fitting doors, windows and ceiling to keep the heat in. Seats and benches were arranged around a fire and there were bowls or troughs of water for sprinkling on the body and on rocks heated by the fire. Clothes were hung on wall pegs, drains led excess water away and pipes let the steam out (Vin.II,120-1). Monks were not allowed to be naked in the sauna. The normal procedure was to smear fine clay on the body, probably as an abrasive to remove old skin, and rub or massage the limbs until the clay was washed off by the sweat. There were four kinds of ‘sweating treatment’ (sambharaseda) – using steam made from water with certain herbs it, steam made from water with cannabis in it, ‘great sweating’ and udakakottaka, which may have meant soaking in a tub of very hot water (Vin.I,205). Indian Buddhist monks introduced the sauna to China from where it spread to Korea and eventually to Japan. The Daito Seiiki Diary by Genjo Sanzo（602-664CE, mentions Chinese Buddhist temp le with saunas that were open to the public. They also provided medicine and food for the benefit of the poor and the sick. From the introduction of Buddhism in Japan during the Nara Period, many of the larger temples had saunas from which the modern baths, the sento, evolved. In the beginning these baths were meant mainly for the monks but occasionally they were open to others. Records mention that the wife of the Emperor Shomu, Koumyou Kougou (701-760 CE) allowed the sick the opportunity to bathe six days every month and even personally washed them. From the Kamakura period (1185－1333), it was normal to make temple baths available for the sick. When public saunas and baths were established away from temples they continued to be built in the style of temples, a tradition that continues even today. Since the 1960s when Japanese houses were more commonly designed with bathrooms, public saunas and baths have declined in popularity. Picture –19th century Japanese sento. Just an unconnected comment,and hopefully I can be excused for posting on something pertaining to something you wrote in your bio, and politely not a personal criticism of such, but I asked a Thai Ajarn about whether people would feel like a stream enterer once they reached that stage. Therefore, I thought you might find his answer of interest. He said that monks who do realize the first path knowledge would not necessarily feel like a stream enterer but they would certainly know it because of their newly acquired technique, or path knowledge. This technique not only enables them to come into contact with nirvana, but also to project their mind at will to anyone on the planet. He said that when we think of someone we do in fact come into a very weak contact with them, whereas with path knowledge this becomes a very direct, strong link that can even change the consciousness of those they contact, particularly at higher level path knowledges. He said that some people may consider that due to their length of time in the monkhood, their devotion to a disciplined life, study, or length of practice, that they have by now accomplished such a level. 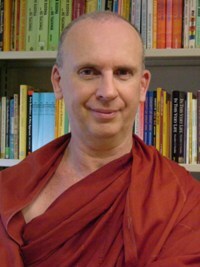 However, he says that it is much simpler than that as it all comes down to meditative technique, involving samadhi, mindfulness, and the ability to let go of anything, whether they are somewhat imperfect as far as the discipline goes and/or whether their literary knowledge of Buddhism is close to zero. He says that the primary source of such an accomplishment is having the guidance of one who already knows path knowledges; any other kind of teacher, despite their perfections, would be totally useless. 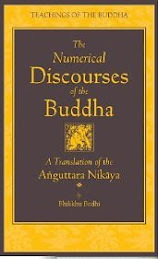 He concluded by saying that despite such an accomplishment being special, as being the first stage of enlightenment, it is only a beginning, and precedes the most difficult stages where the stream enterer becomes aware of the dreadful state of his mind that he was not aware of previously, namely the deep-rooted greed and anger that all human beings possess but never come close to seeing in their entirety until they actually reach this level. 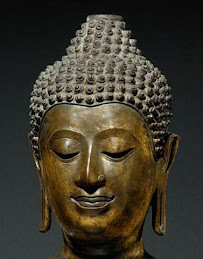 "…Therefore, Ananda, I will teach you a way of knowing Dhamma, called the Mirror of Dhamma, whereby the Ariyan disciple, if he so wishes, can discern of himself: "I have destroyed hell, animal-rebirth, the realm of ghosts, all downfall, evil fates and sorry states. I am a Stream-Winner, incapable of falling into states of woe, certain of attaining Nibbana." "And what is this Mirror of Dhamma by which he can know this? Here, Ananda, this Ariyan disciple is possessed of unwavering confidence in the Buddha,… possessed of unwavering faith in the Dhamma, … possessed of unwavering confidence in the Sangha, … And he is possessed of morality dear to the Noble Ones, unbroken, without defect, unspotted, without inconsistency, liberating, uncorrupted, and conducive to concentration. 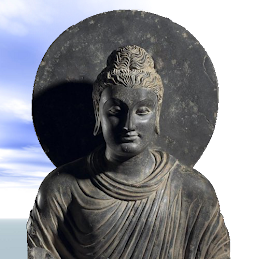 This, Ananda, is the Mirror of Dhamma, whereby the Ariyan disciple … can discern of himself: "I have destroyed hell … I am a Stream-Winner … certain of attaining Nibbana." To my suprise, there is sauna in the Vinaya. How vast the scope of Vinaya is. I hope you would often write articles like this to increase out knowledge of Dhamma. Thank you, bhante. 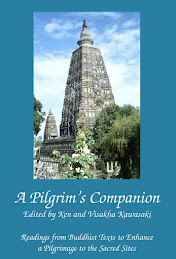 Dear Ken and Visakha, one can readily agree with what you quoted, noting that much of the quote is made up of saddha, confidence in the triple gem, and also noting that the morality ‘held dear to the Noble Ones’ may not quite match up to the discriminatory morality of some of today’s not so noble ones. I think that the Ajarn was aware of this but was being a little more definitive because it is so easy for people to think their way into conclusions, and that such an accomplishment is based on perfection in vipassana meditation rather than other perfections and the outcome is distinctive and unambiguous. This is very interesting! Do think that the indian saunas are connected to the public baths of the Roman republic (& the Roman empire)? They too were heated steam baths like the indian ones, and they sometimes had libraries and lecture halls in them so you could also refresh yourself intellectually !